Lesbian, Gay, Bisexual, Transgender, Questioning (LGBTQ) Latinx people have been major contributors to the United States in everything from the arts, politics, and social justice movements. From the famous Mexican painter Frida Kahlo to the famous Latinx activist José Julio Sarria who was the first openly LGBTQ person to run for public office– LGBTQ Latinx figures have made long-lasting contributions and have had a significant influence on U.S. culture. When GSAs celebrate the contributions of Latinx LGBTQ people and advocate for the visibility of these important historical figures, we are showing the beautiful diversity of the LGBTQ movement and are making sure that no one’s history is forgotten. By celebrating the history of Latinx LGBTQ people, GSAs can also show how the LGBTQ justice movement is connected to other social justice movements fighting to make a better society. One way GSA clubs do this is by celebrating Latinx History Month from September 15th to October 15th. Latinx History Month was started to focus on and celebrate the unique history and contributions of Latinx people in the United States. During the month, many schools and student clubs will organize class presentations, assemblies, educational posters and fun events as a way to bring alive the rich history of Latinx people. If your school doesn’t have a Latinx History Month celebration, organize with your GSA to start official events at your school. Work with administration, teachers, staff, student groups, and others to ensure the lives of LGBTQ Latinx historical figures are included in your school’s activities. Train your social studies and English teachers on Latinx LGBTQ authors and historical figures and suggest ways they could incorporate them and their writing into their lessons. Work with your school librarian or administration to make sure there is a Latinx History display board that includes LGBTQ people, as well as books by important authors like Gloria Anzaldua and Charles Rice Gonzalez. Organize with other student clubs, such as MEChA or the Latinx Awareness Club, to make sure the month’s activities include LGBTQ leaders. To learn more about building successful coalitions, see our resource Coalition Building. Invite speakers to your school who can talk about LGBTQ Latinx history or the experiences of Latinx LGBTQ people. Organize discussions on the current events related to LGBTQ Latinx folks that demonstrate how homophobia, transphobia, and racism affect their lives today. Highlight local LGBTQ Latinx people who have given back to your community. Screen a film like Pedro, which documents the life of AIDS educator and activist Pedro Zamora, or Tres Gotas de Agua, a short documentary of three Latinx mothers talking about their journey with their LGBTQ children. 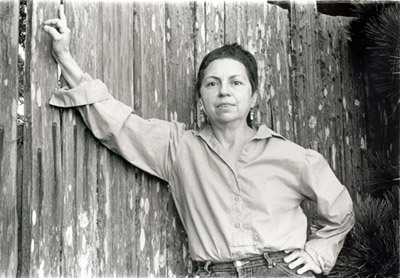 Organize a poster art campaign or contest featuring LGBTQ Latinx historical figures, such as activist Laura M. Esquivel. Create a display of pictures and biographies. You can find a list of some of these leaders at our LGBTQ Latinx History page on GSA Network’s website. Create a LGBTQ Latinx History Timeline and display it in your school. 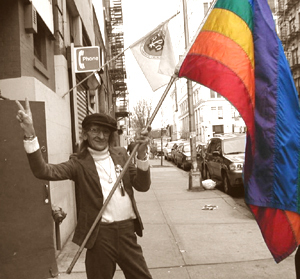 For ideas, check out the Latino GLBT History Project of Washington, D.C.’s timeline. Use your school’s public announcements to share stories! Play sound clips from singers Chavela Vargas and Christian Chavez. Read poetry from Cherrie Moraga and Gloria Anzaldua, or read selections of important speeches by Jose Julio Sarria, the first openly LGBTQ person in the United States to run for a public office in 1961. Highlight important figures via your GSA’s social networking sites like Facebook, Myspace, and Twitter. Make videos, post photos, tweet, and even make a Facebook or Wiki page for your favorite icon. Promote all of your Latinx History Month events on social networking sites and be sure to promote events organized by other clubs. Make Every Day Latinx LGBTQ History Month! Remember that having one month of commemoration of the lives of LGBTQ Latinx people is just the beginning! You can work with your school’s history, literature, Spanish and social studies teachers to make sure that they are including the stories, activism and lives of Latinx LGBTQ people in your classes throughout the school year. Contact GSANetwork for ideas and help on how to do this in your school! Have ongoing conversations with your GSA about why it’s important to acknowledge and celebrate the contributions of LGBTQ people of color to society and to social justice movements. Talking in your GSA about whose history is remembered and whose isn’t is a great way to start building an anti-racist GSA. To get started, see our resource on Creating Inclusive GSAs. Most of all, have fun learning, teaching and celebrating some of our most important LGBTQ leaders and community members in history! Listen to the Spanish language radionovelas – “Bienvenidos a Casa (Welcome Home)” is a story that helps Latinx families begin the dialogue of accepting their LGBT family members. “Bienvenidos a Casa (Welcome Home)” was produced by Radio Bilingüe, in collaboration with the Family Acceptance Project and California Rural Legal Assistance, with funding from The Horizons Foundation and supported by The National Center for Lesbian Rights. Latino GLBT History Project of Washington, D.C.